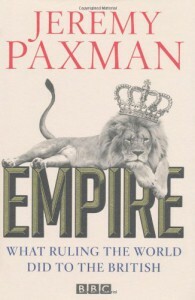 Empire: What Ruling the World Did to the British - Jeremy Paxman - review - Kris' Books. An interesting book about the history of Britain. I had anticipated the worst, which in my case was simple elaboration over well known topics , such as the dumping of convicts on new colonies to name one, and the infamous British attitude towards the native populations of the lands they travelled to, which of course were covered, but the majority of content I have encountered in this book was fairly interesting. Historical topics too fabulous to invent, for example the link between Spanish booty smuggling in the New World and the advent of the British sugar trade, was one of many topics spanning three centuries in just over three hundred pages . The book reads smoothly like a novel, with its chapters compact. The aspects of British Imperial history it expands on are neither superficially nor superflously written ; which, ironically, probably reduces its credibility as a reliable historical research resource, because British history isn't as straightforward as you might think if you're reading the book as a person who has never studied History. One of the first things I noticed when I began the book was that Paxman did not interpret British history in a patriotic voice, not concealing the more shameful parts of British history to the extent other writers may. He also seems to snub the British system, stating that, 'if anything happens to a British citizen, a Royal Navy gunboat will be dispatched to menace the impertinent perpetrators', and displayed other classic examples of the fabled British humour. 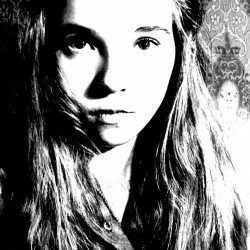 The wit used in the book was neither cutting nor characteristic in any way. Paxman does not appear to directly answer the focusing question how did imperialism affect the British, nor does he provide much insight on the matter; in summary it's a simplified timeline of British imperial history.